A recent study has shown that using mobile applications to assist in tracking and managing eating habits effectively helps in losing weight by an average of fifteen pounds. With the advent of the advanced mobile devices such as smartphones and tablets, the use of mobile applications have risen tremendously. 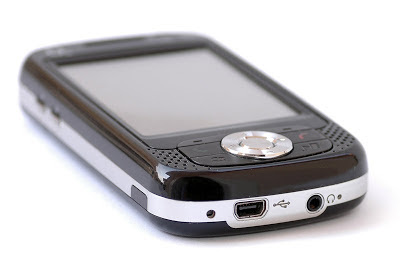 Mobile apps are software programs that are designed to run on these mobile devices. From just a simple email client, apps now have expanded to games, GPS tracking, and even online banking. A recent study reported that mobile app users use their devices to browse the web more than using a standard desktop computer (51.1% vs. 49.8% respectively). Since these apps can effectively assist users in their activities, a useful activity that can benefit from this is in tracking one's diet and eating behavior. It can record the daily calorie consumption and suggest how to keep it under a healthy threshold. There are numerous applications that does this and even extends to exercise & physical activities to also monitor how much calories have been burned. But the technology only aided weight loss when its users also attended regular classes about nutrition and exercise. The app alone didn't help. "The app is important because it helps people regulate their behavior, which is really hard to do," said Bonnie Spring, lead investigator of the study and a professor of preventive medicine at Northwestern University Feinberg School of Medicine. "Most of us have no idea how many calories we consume and how much physical activity we get. The app gives you feedback on this and helps you make smart decisions in the moment." "The 'widget' is critical but it is not magical by itself," Spring added. "People need all the tools at their disposal." The study will be published Dec. 10 in Archives of Internal Medicine. People who used the mobile phone technology and attended 80 percent of the health education sessions lost 15 pounds and maintained the loss for one year. The average weight loss for the mobile phone group -- including those who did not attend the education sessions -- was 8.6 pounds. The control group -- which received the education sessions but no mobile app -- did not lose weight. "The coaches' most important role was being in the wings," Spring said. "The patients know the coaches are hovering and supportively holding them accountable. They know somebody is watching and caring and that's what makes a difference." The participants, who were older, did not have prior experience with mobile phone technology and easily mastered the technology. "Some people think older people won't use technology interventions, but that isn't so," Spring said. One big challenge in treating obesity is the need to provide intensive behavioral treatment in a health care system where physicians don't have the time and training to do it. "This approach empowers patients to help themselves on a day-to-day basis," Spring said. "We can help people lose meaningful amounts of weight and keep it off. To do that we need to engage them in tracking their own eating and activity, learn how that governs weight, and take advantage of social support."